Nkhata Bay or just Nkhata is the capital of the Nkhata Bay District in Malawi. It is on the shore of Lake Malawi (formerly Lake Nyasa), east of Mzuzu, and is one of the main ports on Lake Malawi. The population of Nkhata Bay is estimated to be 14,722 as of 2008. Nkhata Bay is 413 kilometres (257 mi) from Lilongwe, Malawi's capital city, and 576 kilometres (358 mi) from Blantyre, Malawi's largest city. Nkhata Bay is the second "busiest resort" on Lake Malawi. The ancestors of Nkhata Bay residents were the Tonga (Lakeside Tonga). In the 19th century the area suffered frequent attacks from the Ngoni people, who fled north to escape the rule of the Zulu king Shaka, in South Africa. Chichewa is the preferred language in hospitals, churches, radio and newspapers in Nkhata Bay, although Chitumbuka is the main language spoken in the Northern Region. Tonga is the main language spoken in Nkhata Bay's schools; Tonga is used approximately 92% of the time. Nkhata Bay is dependent on fish. Farming, especially cassava, is the main occupation in the area. Rubber plantations also exist at Nkhata Bay. In May 2008, the Lweya irrigation scheme in Nkhata Bay was "rehabilitated". Income from tourism is a major source of income to the Nkhata Bay community. In April 2002, over 1,000 hectares (2,500 acres) of "corn, rice, nuts and cassava" were washed away at Nkhata Bay after heavy rain, causing a worsening of food shortages. In March 2006, Nkhata Bay received over 300 bags of maize from the Feed the Nation Fund, because the area was suffering from food shortages. 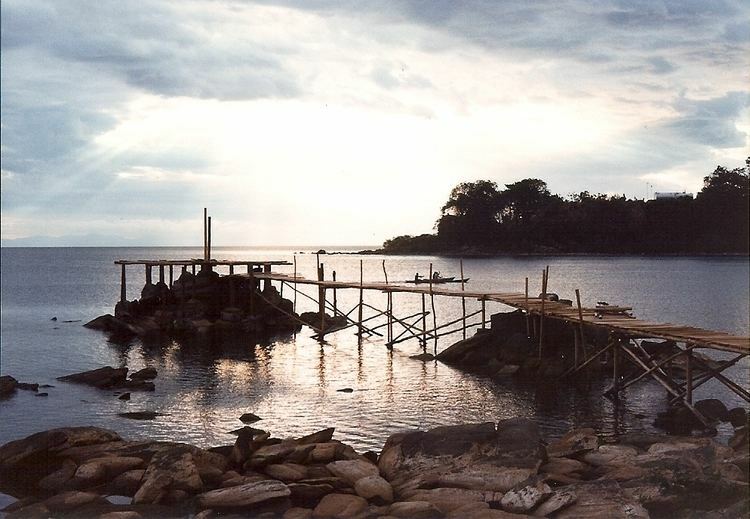 There were heavy rains in April 2006, causing further damage to Nkhata Bay. Malawi's former minister of agriculture, Uladi Mussa Monday, stated in May 2008 that due to heavy rain and flooding, crops in Nkhata Bay had washed away; he said this would cause an "acute food shortage". Nkhata Bay is a port visited by the MV Ilala steamship, a boat which travels up Lake Malawi from Monkey Bay in southern Malawi, to Chilumba in the north, via Likoma Island and Chizumulu. 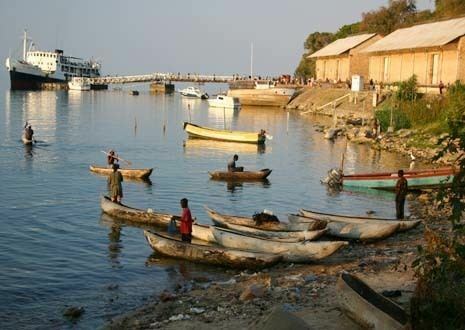 In July 2006, plans were announced to "rehabilitate" Nkhata Bay port, and to re-establish a ferry service between Nkhata Bay and Mbamba Bay in Tanzania. This route is currently serviced by motorised dhow. There are regular minibuses that travel from Nkhata Bay to Mzuzu, Chintheche, Nkhotakota and Salima. Express buses to Blantyre, Mzuzu and Karonga depart from the police road block, 3 km from the town. In June 2008, it was announced that the African Development Bank (ADB) would fund the reconstruction of the road from Nkhata Bay to Mzuzu. As of 20 June 2008, it is expected that the ADB will partly fund the reconstruction. Nkhata Bay's local football team are the Nkhata Bay Police; the team were renamed to Eagle Strikers and now play in Mzuzu. The team play in the TNM Super League. There is a ladies' football team in Nkhata Bay, and are called the Nkhata Bay United Sisters of Malawi. The club was founded in 2003. Netball is also played in Nkhata Bay. In June 2008, the champions of Nkhata Bay were Kawalazi, and received a prize of 30,000 Malawian Kwacha. Each summer there is a multi-day yacht race which starts at Cape Maclear in the south, and ends at Nkhata Bay. The Member of the Malawian Parliament for Nkhata Bay North is Ephraim Mganda Chiume. The MP for Nkhata Bay Central is Symon Vuwa Kaunda. The MP for Nkhata Bay South West is Silvester Kasambara, a member of the opposition. Kasambara caused a storm in Parliament in June 2008 when he pledged 10,000 Malawian kwacha to the Malawi national football team, after their 1–0 victory against Egypt, the African champions, in a FIFA World Cup 2010 qualifier. There are bars, restaurants, two grocery stores, a bus station, tailor shops, a taxi rank and a market in Nkhata Bay. There are four banks, NBS, FNB, Malawi Savings and Opportunity Bank, as of early 2013 the automated teller machine will allow withdrawals using most foreign credit or debit cards in the two banks on the top of the hill, NBS and FNB. There is internet access in a few internet cafes, Nkhata Bay Communications Center, Jessie's and others. And free access to internet at Butterfly lodge in South Bay. There are public telephones. The District offices are in town and there is a Post Office. You can pay your ESCOM bill in town, and Water Board bill at the top of the hill. Nkhata Bay has a police station. Robberies of tourists have occurred at Nkhata Bay, but are rare. There is a hospital in Nkhata Bay, and in October 2006 it received a donation from the National Bank of Malawi. AllAfrica have reported that parts of the Nkhata Bay area are not receiving appropriate AIDS treatment. Nkhata Bay is described by Lonely Planet as "Caribbeanesque" and a "lush tropical indent". There are several guesthouses and lodges for tourists in Nkhata Bay. In February 2005, the Malawian government announced plans to build ecolodges as a way of increasing ecotourism in the Nkhata Bay area. The diving school in Nkhata Bay offers the "cheapest diving course in the world" according to The Daily Telegraph. Nkhata Bay tourism has a long history. It has been part of the overland backpackers route between east Africa and cape town but the number of backpackers have dropped considerably in recent years. Political issues in Zimbabwe has revised the overland backpacking route so that many people now go through Zambia or the Mozambique coast. The Heart Hotel was a local owned establishment in the local village where very low budget backpackers could get a room and breakfast for well under one US dollar. 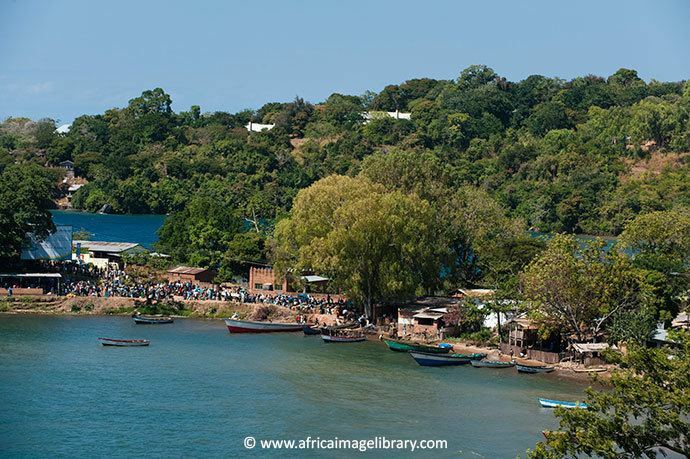 Nkhata Bay became a place where people could rest on a long trip and spend very little money. With the opening of Njajay Lodge the scene changed a little. The town along with backpackers culture shifted to catering to a traveller with more money to spend. While the village now has many places to stay the problem has become attracting people who now often travel though other countries or more easier accessed beaches in Malawi. Another shift that has reduced the amount of foreign visitors to Nkhata Bay is the increasing number of people travelling Africa by overland truck rather than independent backpackers travel. Overland trucks to do not come to Nkhata Bay but instead choose the beaches on Chinteche to the south. As a result, many of the local artists have moved their craft stalls to the Nkhata Bay/Chinteche road junction. This along with huge increases in international parcel rates from Malawi have made it increasing difficult for the talented local artist to make a living. Many artists now set up stalls directly outside of overland truck camps around Malawi understanding that backpackers can no longer afford to send famous Malawi chief chairs and masks home. In March 2000, 73-year-old man from Nkhata and a 22-year-old woman married, in what BBC News reported as "Malawi's surprise wedding of the year"
In December 2002, a businessman, Mac Bosco Chawinga, was dragged in to Lake Malawi at Nkhata Bay by a crocodile; Chawinga managed to escape by biting the crocodile on the nose. The crocodile then released him, and Chawinga managed to return to the shore, although he had received severe injuries to his legs and arms. The Times reported that, according to "wildlife experts", Chawinga is the first person to survive after "using such an audacious tactic". On 9 May 2004, the then-Tourism, Parks and Wildlife Minister Wallace Chiume survived when a boat capsized in Nkhata Bay. At least six other people drowned in the accident. One of the dead passengers was a child. The boat was being used for campaigning in the Malawian election. Strong winds were blamed for the accident which happened 10 kilometres (6.2 mi) from the shore of Lake Malawi. 40 people were on the boat at the time. In 2006, the Nkhata Bay AIDS Support Organization was created in Malawi and later registered in the state of Wisconsin as a non-profit corporation. The American-Malawian partnership has led to great success in the fight against HIV/AIDS in the Nkhata Bay District. Over six outreach clinics were established in the past two years, leading to a 23% drop in positive HIV testing results. The charity operates on a small budget coming from local Wisconsin donors.